Troubleshooting > Site Connection > Why isn’t my website syncing properly? When you click on Sync Dashboard (in order to pull the newest data from your sites into ManageWP), ManageWP requests information from each site simultaneously. This ensures the fastest loading speed. However, when too many requests are sent to the same IP address some of them may time out or fail. To prevent this from happening you can limit the number of requests that can be made to the same IP address. To do this, click on your login details at the top right corner of your ManageWP Dashboard, click on Settings and click on the tab Advanced. 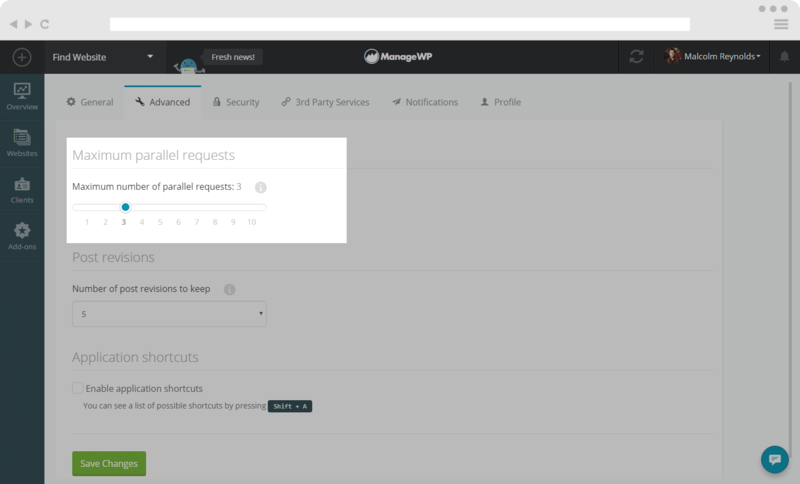 Here you’ll find a slider where you can adjust Maximum number of parallel requests per server. Try decreasing the number of requests until your sites are able to complete the loading process. If this does not solve your problem(s) then the error is server side, and may be caused by the PHP Memory limit and PHP Execution time. The best solution for this issue is to ask your hosting provider to do this for you. A lot of providers won’t let you do it yourself. You can never be sure how much will be enough but 600s of PHP Execution time and 256M of PHP memory limit is a good start. We could not connect to the website (error code: 28). Please, make sure the website is online. If your website is online and you are still getting this message, it means that something is blocking us from reaching the Worker plugin installed on your website. In order to resolve this issue, whitelist our IP addresses and reconnect the website. ManageWP is having trouble connecting to your website. Please make sure your website is online with the ManageWP Worker plugin active. First of all, check if the Worker plugin is activated on the website in question. If that is not the case, activate the Worker and reconnect your site. If the Worker plugin is activated, and reconnecting is successful but the issue appears with syncing your site, this usually means that there is some plugin activated that interferes with our Worker plugin. 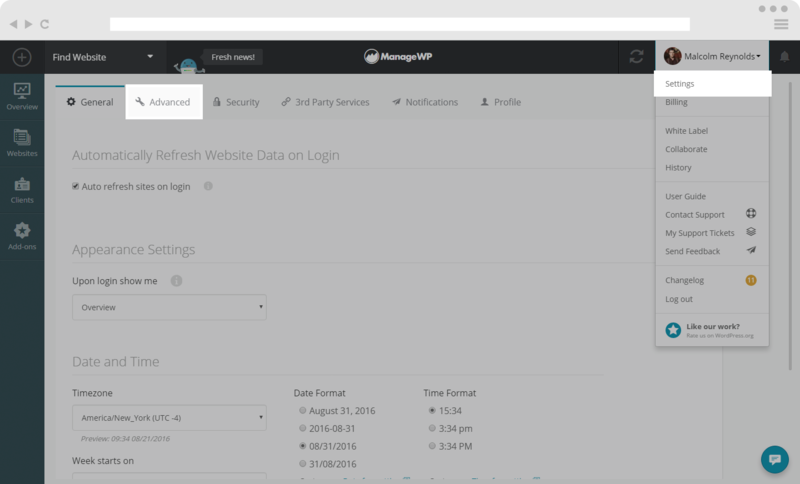 By reconnecting the website, ManageWP Dashboard is making connection with the Worker plugin. If this process is successful, it means that we are able to connect and nothing is blocking us from accessing the website. By syncing the website, we are loading all information from WP-admin dashboard, and if this process gets interrupted, this means that some plugin or theme is interfering with the process. In order to find the culprit, deactivate all plugins except the Worker plugin, and sync the website after activating plugins one by one. When the issue reappears, it means that last plugin that you activated is causing the issue.